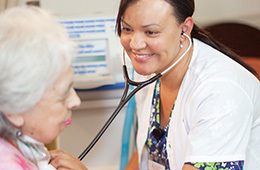 Sub-acute care is a relatively-new and rapidly-growing medical care service in America. It merges the sophisticated technology of a hospital with the efficient operation of a skilled nursing facility. Because sub-acute patients require more highly-skilled care, we use a team approach to patient treatment. Doctors, therapists, nurses and other health professionals all work in concert with the patient and his or her family to assure the most efficient care. We value family at Sacramento Post-Acute. We highly encourage family members to get involved when it comes to ventilator care and rehabilitation of their loved one.